The AVS refill is a closed-system e-liquid refill brought to you by FIN Cigs. The flavor found in the Menthol AVS refill is the same as the menthol you will find in FIN cartomizer refills, both of which deliver a cool, fresh menthol taste. 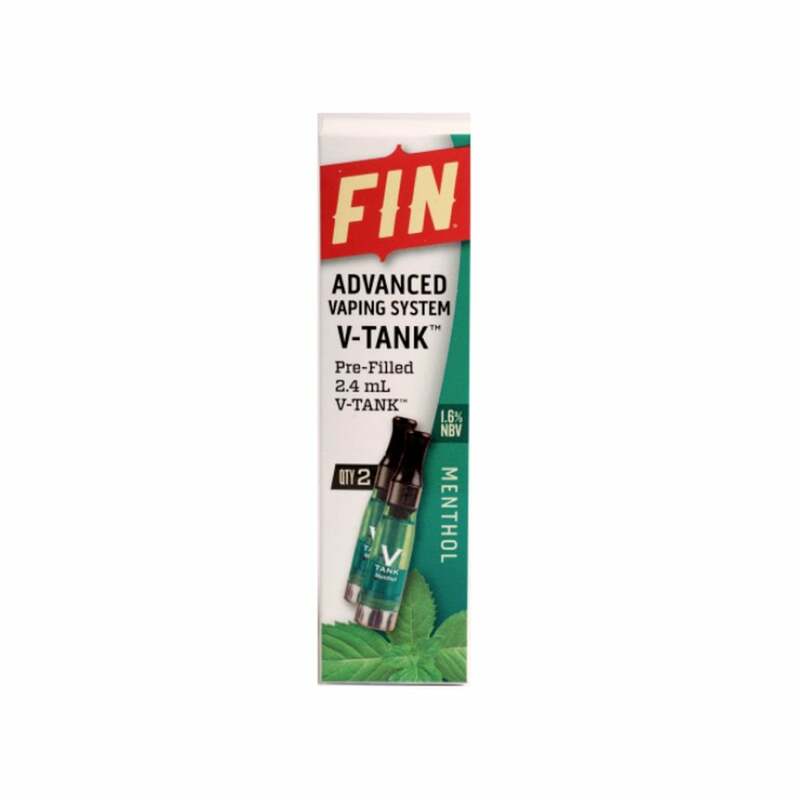 FIN Menthol V-Tanks have a V-Liquid capacity of 2.4ml which should provide around 600 puffs before the chamber will need replacing. Being transparent, you can easily see how much v-liquid you have left by checking the side of your V-tank. Great product. Very smooth flavor. Has pre-filled tanks. Very convenient product to use. YUM!!!!!!!!!!!!!!!!!!!!!!! !MY ONLY FAV!!!! They are Hard to find!!!! I ONLY Shop Electric Tobacconist® USA!!!!!!!!!!!!!!!!!! Best Prices, Speedy Free Shipping YUMMMMM! I really enjoy this convenience of these pre-filled V-Tanks. I have tried several different types of system but I sticking with the FIN project. The method pre-filled v-tanks are the smoothest I have found. No bitter taste. As time goes on, I am burned out on the minty rather than menthol flavor of this product. The worst part of it is that the tanks leak so badly that they come mostly emptied or you end up swallowing the fluid which can't be really good for you. I like the juice but I'm hating the tanks; 4 cartridges I received this week were damaged and leaking profusely. Bad quality control. Menthol is more of a minty smoke but I like it. A tank lasts a couple of days. Exelant product. I have tried several different e-cigarettes and FIN has the smoothest flavor that I have found. Great price and quick delivery!!! ET is GREAT!! Pretty good quality. 1 out of 10 defective but normal for this brand. Closest to the "real" thing as far as taste and satisfaction goes. Love the product! But received six of the v- tanks broken !! Can’t seem to find away to contact anyone to get the product replaced ! Only place to get these now. Thank you !! The last two orders, of the 7 or 8 purchased half were defective in that they leak bad, black tops broke off and thus had to be thrown away. The leaking has been an ongoing problem, the breaking of the tips is new. Product as expected. prompt delivery. easy to maneuver web site and order.